Want Quick & Easy Asphalt Repair That Can Save You Money? Conventional cold asphalt is quick and easy, but it doesn’t last. 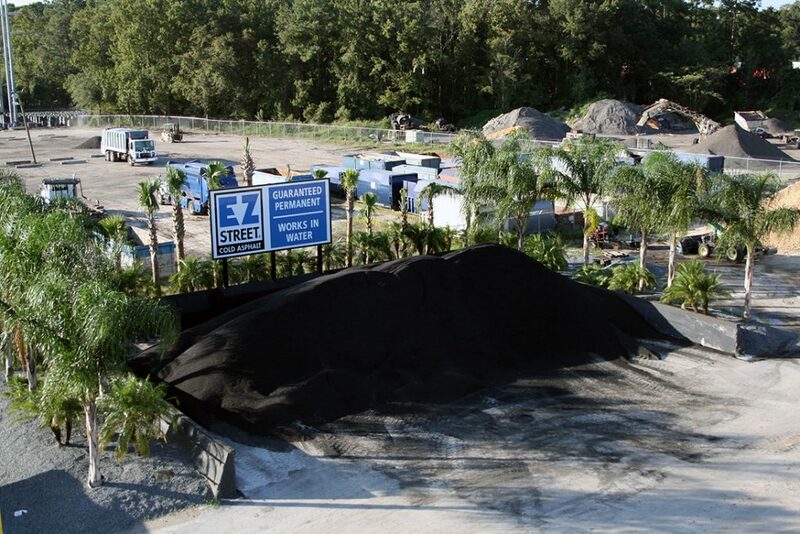 Conventional hot asphalt lasts, but it’s neither quick nor easy. What if you could have a product that combines the simplicity of cold asphalt with the permanence of hot asphalt? Something that you could keep on hand, and have ready to use at a moment’s notice? And what if that product was guaranteed permanent? Would you feel crazy to not be using it? Meet EZ STREET® Asphalt, a premium cold asphalt product that performs like hot mix. 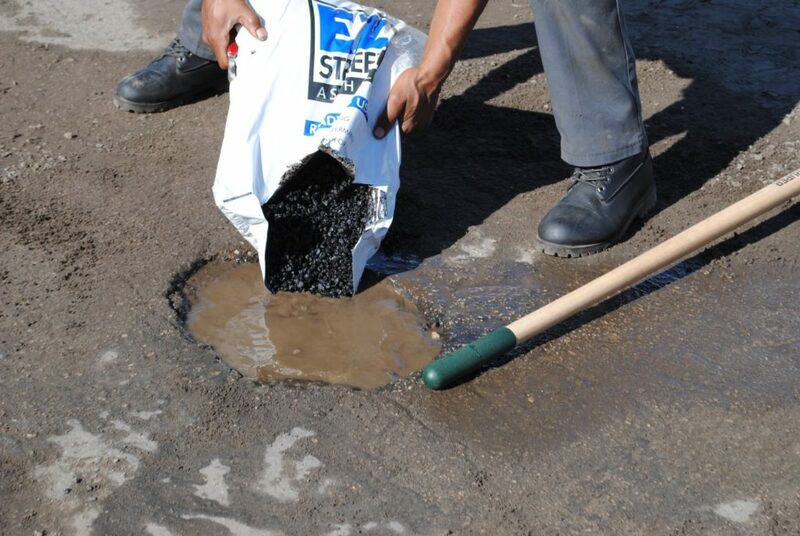 EZ Street is always workable, it always stays in the hole, and it always saves money. It works in any weather, and it even works in water. You can throw it into a pothole filled with water, compact it, and the repair is guaranteed permanent. The secret lies in EZ Street’s proprietary, polymer-modified blend, combined with a range of graded aggregates that create an interlocking base. You can roll up to a pothole, throw in the EZ Street, compact it with a hand tamper or even roll it with a truck tire, and the job is finished. It’s immediately ready for traffic, and it’s guaranteed permanent. As quick & easy as cold mix, has the same robust foundation as hot mix. 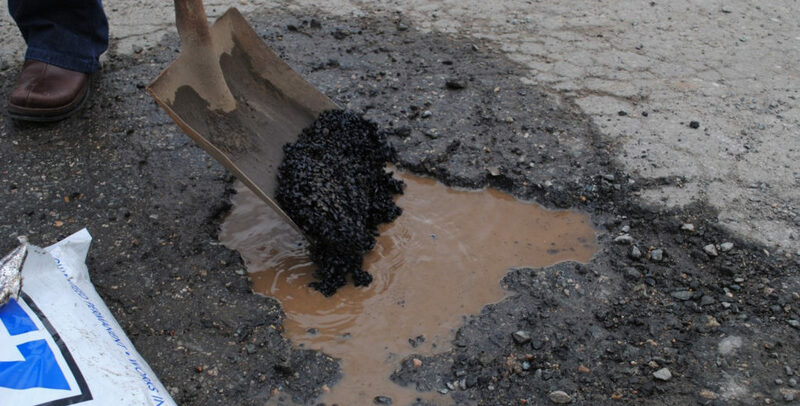 Want to cut the cost of conventional asphalt repair in half? 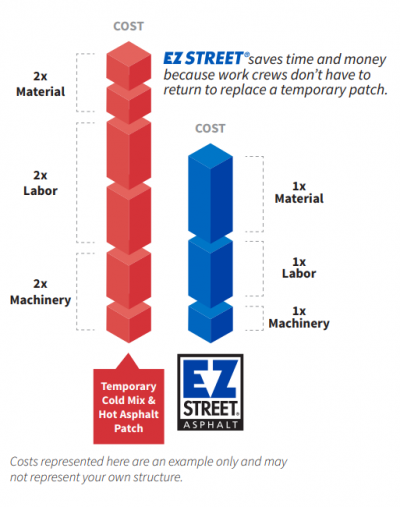 By making the first repair as easy as a temporary cold patch, ensuring it’s permanent, and eliminating the subsequent hot mix repair step, EZ Street Asphalt can cut the cost of traditional repairs by half. The savings can be even higher if crews are being called back to repeatedly perform a temporary patch on the same hole. But will EZ STREET® Asphalt work for you? We think so! If you want to try a sample, we’re happy to provide one. Call Corey Key at (904) 296-2020 today! 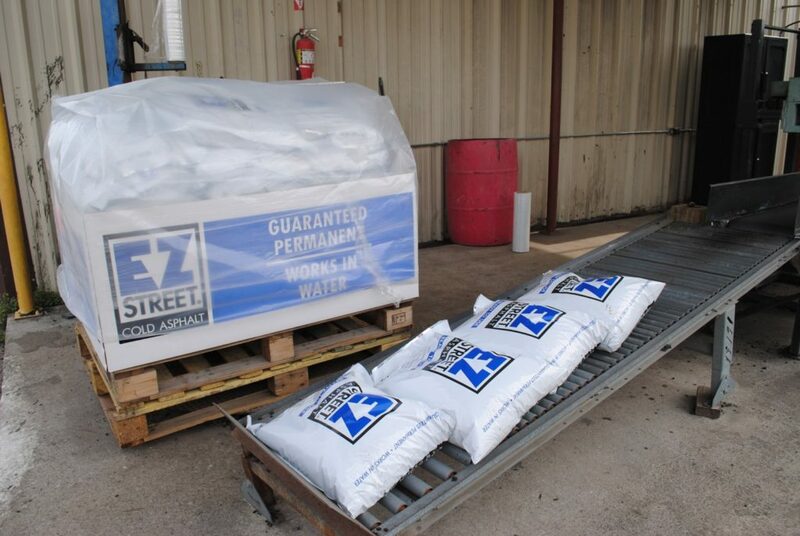 For more information about EZ Street Asphalt, click here.